To take advantage of the service, simply call in or telephone our Office register. There is no fee for this. For instructions received via telephone, please note that all calls are recorded, thereby enabling us to verify your instructions if needed. For Anti-Money Laundering purposes we must hold current evidence of your identification upon our records before we can place any trades for you.Please refer to the information noted within our “Providing Identification” leaflet which you should have been provided. A duplicate can be provided upon request. It is your responsibility to validate your holdings prior to instructing any sales. If further clarification is needed regarding the current validity of a holding we encourage you to contact the Registrar to seek further clarification before instructing the sale. Please note that if a holding is held in joint names, this needs to be made clear to us when providing the instruction to sell it. Any financial implications of a failed transaction through a lack of validity fall upon you. In addition to enjoying an “execution only” facility, you will also receive “Milton News” giving independent professional views on an array of national and international events and investment services and in-house facilities, too. Of course, registration places you under no obligation at all. 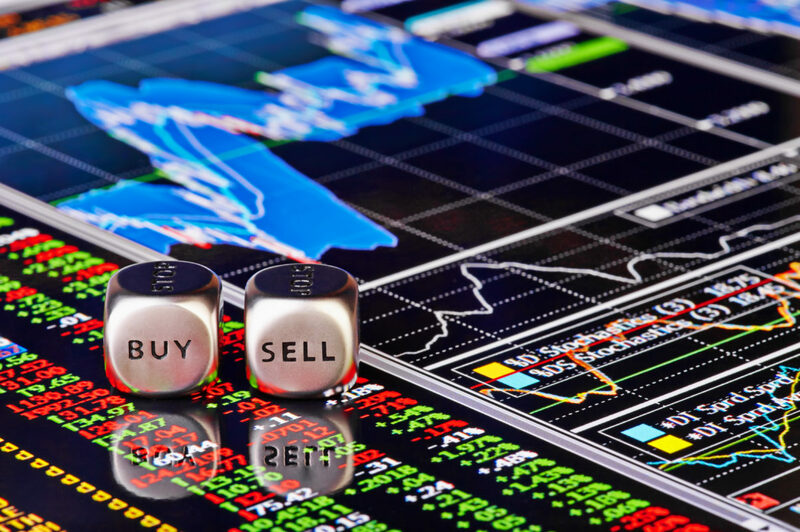 For registered clients, we can sell or buy UK shares instantly, provide Contract Notes within three working days and for sales, usually supply you with the proceeds within thirteen working days from the date the sale is instructed (and in some instances sooner, for the sale of Unit Trusts for example). The sale of certificated foreign shares does require a longer period for settlement. Sale proceeds can be paid to a nominated Bank or Building Society account upon provision of a supporting bank statement or voided cheque for the account you wish to be credited. The Company’s direct computer link to the Stock Exchange provides the fastest share price facility in the area and offers up-to-the-second prices for all UK securities. The price for other shares is just a telephone call away. Our ability to deal immediately upon instruction means that we are able to outperform other local dealing services in terms of cost, flexibility and autonomy. Our Share Dealing department checks all supporting documentation before we despatch it. We monitor receipt of new certificates issued following a share purchase and balance certificates (if required) after sales. We levy brokerage at 1.5% on the consideration – subject to a minimum charge of £30.50 per deal. However, for individual stock sales or purchases over £10,000 we are pleased to offer reduced brokerage of 1% on the portion of the trade in excess of this amount. Purchases incur Stamp Duty at the rate of 0.5%. Our Broker has set a capital limit of £20,000 for all purchases instructed either alone or in aggregate per client account, above which cleared funds are first required to be received by it before larger or additional trades can be placed. This limit is not inclusive of brokerage or Stamp Duty. If share sale proceeds are reinvested within our independent discretionary managed accounts within a suitable timescale, we are pleased to offer to refund all brokerage charges. There are no direct ingoing charges to our Managed funds either. Full details are available on request. We are also pleased to assist with the re-registration or disposal of securities within an Estate. We require sight of the sealed Grant of Probate together with evidence of the Executors’ identification and two forms of address verification. We can pay the proceeds to an Executor’s account if we are given a statement for the account in support of the instruction. We can confirm a quotation for extra work upon receipt of the relevant securities subject to a minimum charge of £60 plus VAT. Whether selling or buying, the intended settlement date for most securities is currently ten working days from the date the trade is placed. Therefore, it is imperative that you submit the relevant share certificates and signed CREST Transfer forms immediately following receipt of the Contract Note. Similarly, you must make payment by return for purchases when you receive a Contract Note. This will avoid a possible fine being imposed on you by the Market. Share certificates for new acquisitions may take some six to eight weeks before being issued by Registrars, sometimes longer. However, a certificate must be issued prior to the shares being re-sold. For individual shareholders, “paper free” trading has not yet arrived fully, despite the bold efforts flagged in 1995. The five-day rolling settlement period has never really been practical. SETS (Stock Exchange Electronic Trading Service) has also gone some way to addressing the Market’s desire for an entirely automated future. We see a future for Paper certificates for some time yet. As a client, you would be registered automatically and should receive full details of any new Government or other Privatisation issues in which we would expect to be involved. Having been appointed a Government Share Shop on many previous occasions, we were instrumental in giving local people access to the rewards of privatisation issues including British Telecommunications Plc, National Power Plc, Powergen Plc, Railtrack Plc and British Energy Plc. We have also been appointed (sometimes exclusively for this area) to act as an intermediary for some of the larger private flotations. These have included Somerfield Plc, William Hill Plc and Investec Plc. Clients can also expect to receive a reasonable amount of free and practical assistance with the completion of all supporting documentation and in the general administration of share holdings subject to our discretion. We can arrange to transfer share holdings from one name to another, usually without cost. We can give clarification whether old share certificates are still valid where possible. Advice on “Free Shares” and how best to consider their Tax implications is also available! We can obtain replacement certificates, subject to Registrars’ administration charges. We can provide documentation, where necessary, for foreign stocks, too. Depending on the level of assistance you require we may need to charge a fee for the provision of these services, though please be assured that this will be made clear to you before you engage our services and incur any charges in this connection. We have a team of highly qualified advisers available to assist you in almost every field of the investment and financial planning arena. Whether you are seeking mortgage or Tax advice, looking to start a pension or if you are simply looking for a new profitable investment opportunity for that nest egg, we shall be happy to advise. If you think that we can help you or if you require any further information why not contact our experienced, locally based, team of specialists.